Occasionally, I day-trip to New York. Typically, I hit a museum or two, visit a couple restaurants, walk around the city a bit, and catch a little live music. There were a couple bands performing on Saturday night who I’ve reviewed before and would have gone to see if it had been possible. But Amy and the Engine, whose album I reviewed last year, was taking the stage at the Bitter End a little too late for me to make it to the show and still catch my train home. Project Grand Slam, whose album I reviewed last year, was performing at Sugar Bar; I’d’ve probably attended their gig, but I didn’t know about the show until I saw the band’s Facebook posts after it was over. 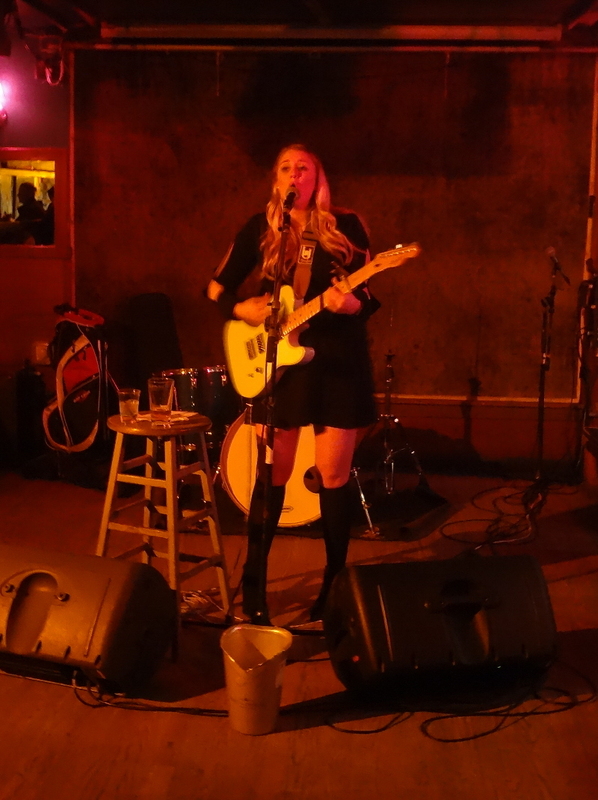 I did, however, search show listings and sample several artists’ music in the day or two before my visit, and a listen to Caisy Falzone’s Your Time EP convinced me I’d almost certainly enjoy her live performance. 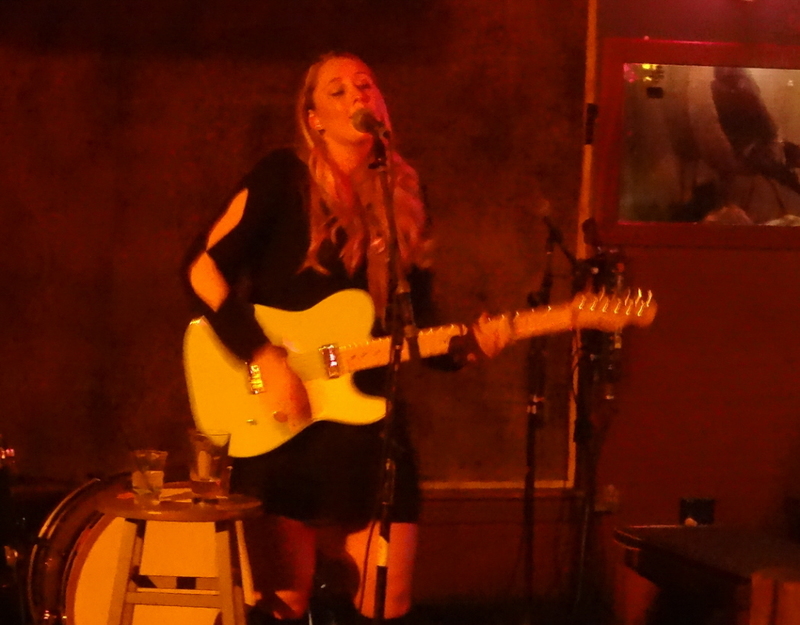 So I made my way into Pianos early Saturday evening relatively sure I’d enjoy Caisy’s set before it even began. 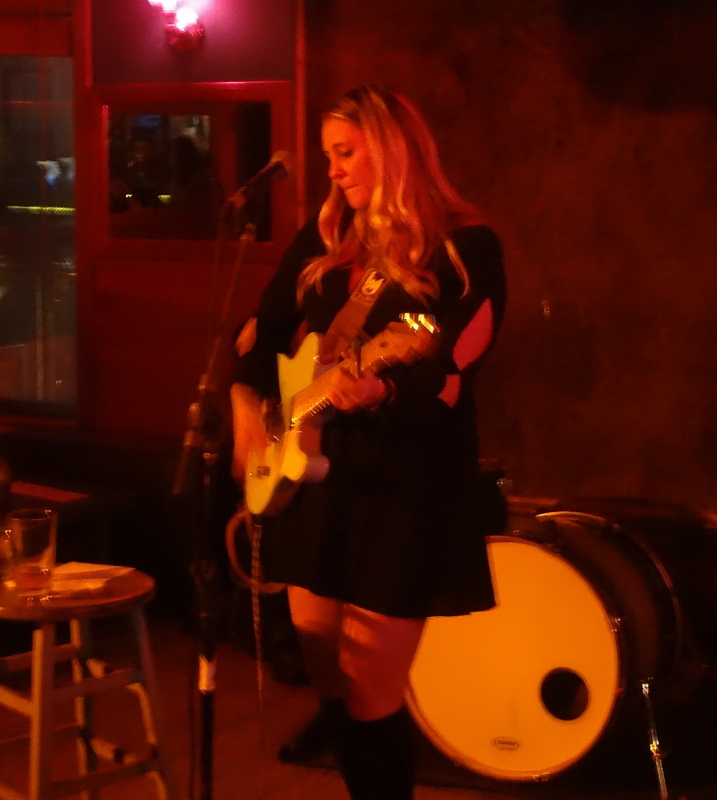 Performing solo with just a voice and a guitar, Caisy Falzone sings charmingly catchy, stripped-down, singer-songwriter pop-rock. In addition to an inherent vocal sweetness, Caisy infuses her songs with emotion at times via a somewhat uniquely hoarse delivery style, something she uses coolly effectively where many singers might instead lean on vocal gravel. It, when combined with her engaging stage presence and strong songwriting and wisely-selected cover song selection, provides Caisy with a memorable calling card in an otherwise relatively crowded sub-genre. Caisy opened the evening with “I Feel You Look At Me” (note: my song title accuracy may vary), immediately charming the audience with sweet, echoing, atmospheric vocals. She followed it with a song that’s more of a strummer (“Almost There”? ), one on which she showcases a typically singer-songwriter styled rhythmic vocal emphasis. Caisy next served up her version of Sixpence None the Richer’s “Kiss Me.” She nailed it, leaning particularly effectively on her hoarsely emotional vocal delivery for this one. It was followed by a new, untitled pop song which was, yes, more pure radio pop styled but still clearly stylistically Caisy. On “Hold Me Down,” from the Your Time EP, Caisy down a steady, strumming rhythm, with her voice cracking compellingly in the emotional spots. 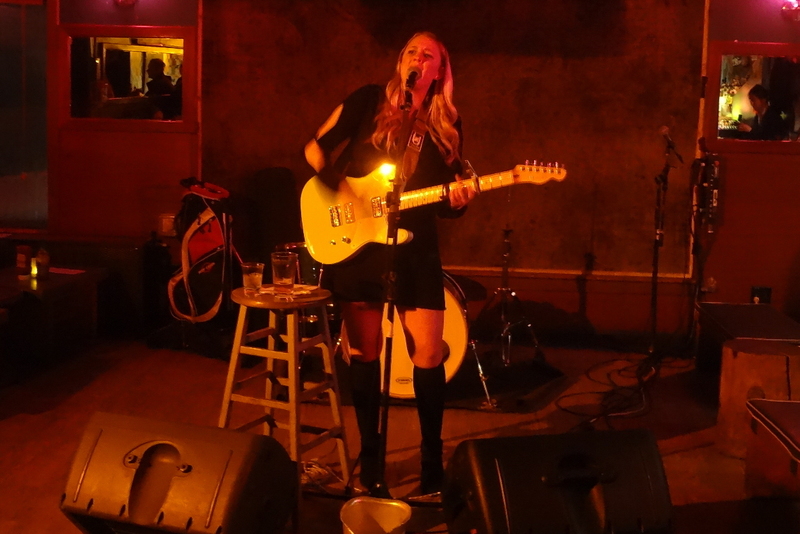 She followed with a cover of Alanis Morissette’s “Ironic”; in this case, the emotion was drawn directly from the song, as Caisy clearly connects with this classic guitar-pop rock hit. Next up was “Say”(? ), an “old song,” Caisy noted, from her acoustic duo past. This song explored the more ethereal end of Caisy’s vocal delivery, complementing it with particularly emphatic strumming. Her rendition of Fleetwood Mac’s “Landslide” was engaging and almost innocent-sounding. Worth mentioning is the original way in which Caisy delivered these vocals, seeming to round the vowels a bit, resulting in a unique vibe and memorable performance of this often-covered tune. 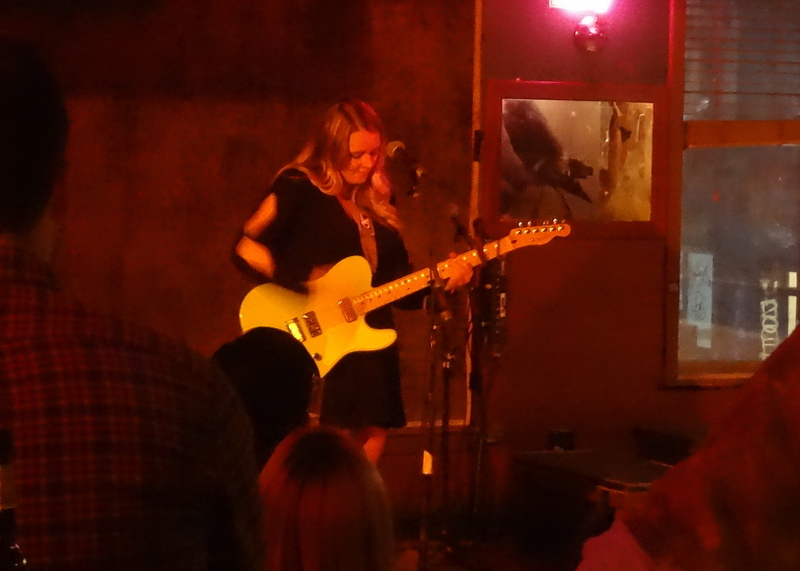 Caisy closed her set with “Drift,” another track from her latest EP. On this she employed a persistently hoarse vocal delivery, rhythmically rising and falling in power, combined with a simple-but-effective, interesting guitar rhythm. Indeed, this set was a great way to cap a day in New York. Caisy’s musical toolbox isn’t notably exceptional, but she mixes and matches her tools effectively. An evening at one of her shows seems to be a guaranteed enjoyable time, and I look forward to hearing how she utilizes her skills and builds upon her song catalog as her career advances. 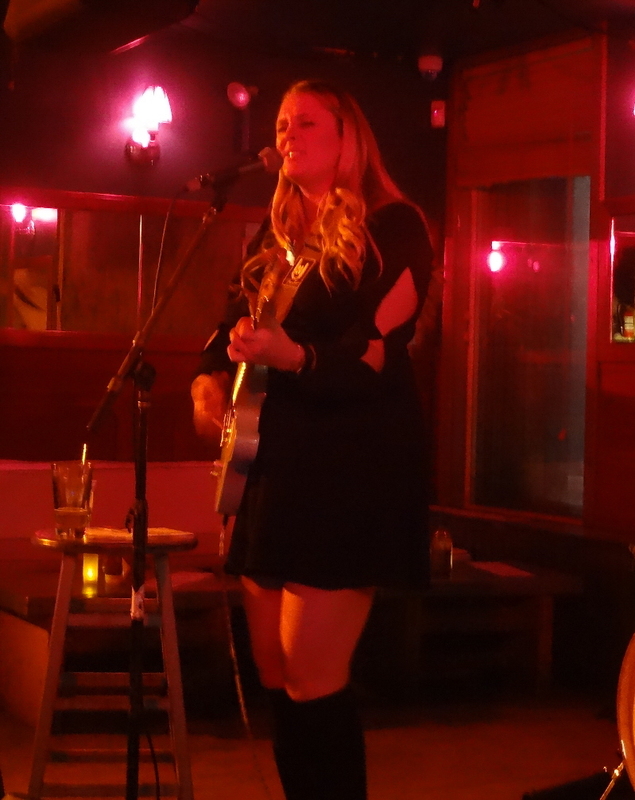 This entry was posted in Live Reviews and tagged Caisy Falzone, Geoff Wilbur, Geoff's Night Out, Live Review. Bookmark the permalink.